The word phobia comes from the Greek word “phóbos” meaning panic. It is an irrational, intense, persistent fear of certain situations, activities, things, or people. The main symptom of this disorder is the excessive, unreasonable desire to avoid the feared subject. There is no limit to the amount of phobias that exist. Some common phobias include fear of spiders or arachnophobia, fear of snakes called ophidiophobia, fear of called heights acrophobia, fear of small confined spaces called claustrophobia, fear of the dark or nyctophobia, etc. The most important thing about phobias is that they can be cured using Hypnosis. To know about it we first need to take a look on how phobias are created. Phobias are generated by traumatic events that are deeply hidden in the person's subconscious mind and for that reason the subject doesn't remember the specific incident even though it's had a tremendous effect on the individual's life. If a kid is locked in a dark room or closet with no company, it's very likely that he may develop a terrible fear of the dark. If the fear is absolutely uncontrollable then it falls in the category of a phobia. 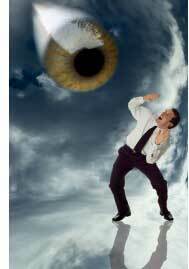 Clinical Hypnosis has a wonderful way to cure phobias. We hypnotize the subject and take him to the past to the particular event that caused the trauma, then we clean the emotional baggage of the trauma, curing the subject. This is a very quick and effective therapy and its best thing is that it makes the trauma to completely disappears. I do cure phobias with clinical Hypnosis, hypnotherapy, past life regressions and emotional healing massage, to achieve a quicker and permanent result. Hypnosis works because it allows you to change the negative programming stored in your subconscious for positive suggestions that I give. In the case of phobias this means a permanent cure. Click here to book your Evaluation Session now. To learn more about how Hypnosis works and cure phobias, visit my FAQ page to find answers to questions asked by my clients every day. In most cases, hypnosis works instantaneously. Once a problem is revealed and reprogrammed, the person completely changes their behavior and attitude in this situation. Sometimes, in a single session a person can get rid of negative programming that would otherwise be disruptive for the rest of their life. Click here to book your Evaluation Session now. We are located in Miami, Florida, USA but we take care of clients using webcams so don't be afraid of asking for help. We can help you!